A coalition of presidential candidates from different political parties under the aegis of Patriotic Forum of Presidential Candidates (PFPC), has cautioned the Nigeria Police to allow a peaceful and transparent election in 2019 by not interfering in the process. Recently held elections in Ekiti, Osun, Katsina, Bauchi, Kogi and the bye-election in Kwara last week were adjudged by observers as having great interference from the security agencies, especially the police. 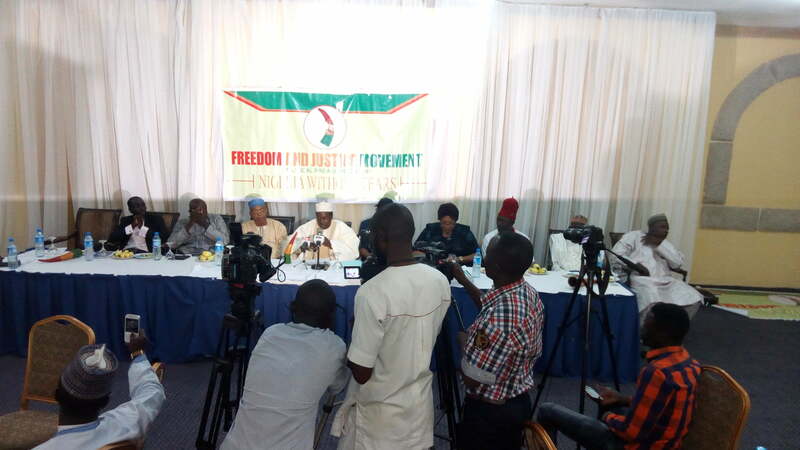 But at a media briefing after an inaugural meeting in Abuja on Tuesday, the coalition, led by Breakforth Onwubuya, the presidential candidate of Freedom and Justice Party (FJP), said the coalition will interface with law enforcement agencies to be neutral, â€œparticularly the Nigerian police, not to interfere with the electoral process or allow itself to be used by any group or person to influence election results in favour of any particular candidateâ€. The coalition also urged the Independent National Electoral Commission (INEC) to play its constitutional role as an unbiased and neutral umpire throughout the 2019 general elections, saying only that would guarantee a credible and peaceful election. â€œThey must also ensure that all eligible voters that are not yet registered are duly registered and that they have their PVCs ready for the elections,â€ the forum insisted. On the state of the nation, Onwubuya said the group has also planned to engage the government to do more on the current state of internal security for the well being of Nigerians and guarantee credible electoral process before, during and after the 2019 general elections. The coalition promised to engage the media to provide cheaper, equal and level playground to all candidates, especially pay attention to credible electoral reporting. â€œThe overall objective of the forum is to advocate and ensure the delivery of free, fair, credible and violence free election in 2019,â€ Onwubuya added. He said â€œit is most important to have Nigeria united as individual entity after the pollsâ€, stressing that the forum has about 40 presidential candidates out of the 79 who have subscribed to it, adding that â€œmore will join soon as the agenda is not selfish but national interestâ€. Some of the presidential candidates present were: Shittu Mohammed, APDA, Yusuf Dantalle, APM, Obadiah Mailafia, ADC, Danjuma Muhammed, MRDD, and Chima Benjamin, PCD.